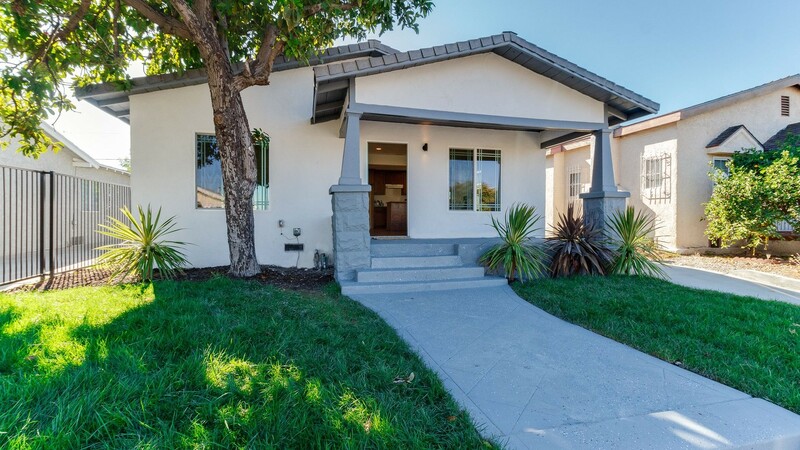 We would like to welcome you to the hot and rapidly evolving pocket West of Normandie Ave: Located between Westmont, Inglewood, Morning side Park, Park Mesa Heights and Hyde Park. Making this an ideal location! This exceptionally renovated 3 BR, 2 BA home features a new kitchen open to dining and living room with fireplace as a gorgeous focal point. Complete remodel with gleaming new windows, new wood laminate flooring, designer tile in bathrooms recess lighting, mirror closet doors, master bedroom offers a full private bath with all new fixtures. New interior doors, freshly painted interior and exterior, new lawn with sprinklers in front yard and an over-sized new 2 car detached garage with direct access from private driveway. Morning Coffee or Afternoon Tea: we got you covered with a newly built attached deck creating a private outdoor living space! Lovely pride-of-ownership street lined with charming well maintained homes. This area is quiet, green lawns to your left & right, up and down the street can't get better then this plus commuters enjoy close proximity to all major freeways, new Rams Stadium, the Forum and easy access to USC Village & Downtown LA. All you need to do is move in!